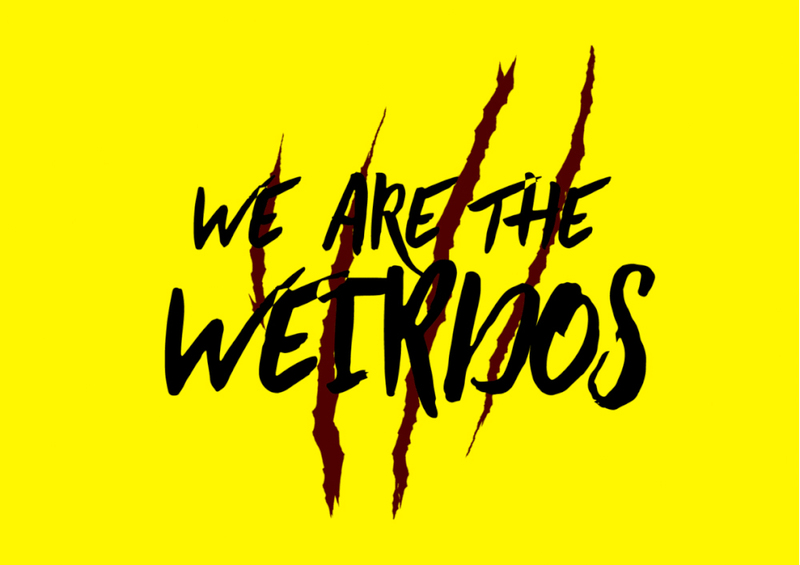 We are the Weirdos is an undeniably brilliant and easy-watching short film programme. The carefully selected shorts felt vibrant and pacy, showcasing the broad range of genre cinema through a number of different mediums, such as animation (Cerulia, Inseyed) and cinemagraphs (#EatPretty); extra bonus points for including a range of different aspect ratios as the best part of any shorts collection is watching the screen change shape throughout. Particularly, (aside from the WONDERFUL moving screen) what stood out from Weirdos was the clear distinct effort to showcase diverse narratives. Characters were from an array of backgrounds and settings – notably it was great to see foreign film represented (The Lady from 406.) The Final Girls are a collective that was created to explore the intersections between feminism and horror and they have constantly pushed female led projects into the mainstream. But these shorts explicitly felt like the collective defining their desire for a wider breath of cinema – it’s a timely reminder that feminism is more than just female representation, it is rooted in equality. The only criticism of the shorts was that none of them were particularly scary. Perhaps this is personal preference, but the films didn’t linger in the way only horror films can. Instead, most of the horror came through thinking about reoccurring topics in the films. The most noticeable thematic recurrence is that every single short film was focused on visibly human characters within a domestic space – be it the town, the home or the bed you sleep in at night. In contemporary genre cinema fear isn’t something that is hidden in the deeps of an otherworldly location. It is part of daily life and the works of these film makers express that this sentiment is more prevalent than ever. The animated Mexican film Cerulia stood out for its distinctively traumatic representation of the eponymous characters return to her childhood home, which is haunted by memories of her demonic friend. The film is visually stunning yet unsettling with its Burtonesque characters and dusty beige colour palette. The effectiveness of how Cerulia’s fragile and warped mindset was portrayed highlighted how important animation is as a tool of visually representing our feelings. Animation showcases the impossible and the film just highlighted how much potential the medium has within horror cinema. Cerulia and a number of other shorts (Blood Runs Down, Goodnight) are also notable for their focus on children and paternal relationships. Society has always pushed the idea of ‘the home’ upon women as their domain and is culturally labelled as a place of ‘safety.’ While, since the 70s there has been a proliferation of genre films where our homes are the victims of horror these shorts display it as the source; expressing our fears of motherhood and the fragility of home life. These recurring ideas conveyed that it’s completely normal for women to be fearful of these spaces and the paternal attributes that society try to mould onto them. The eerie short Puppetmaster also explored a traumatic relationship but through the form of puppetry. The puppet is this fragile, limp being created from papier-mâché and its controlled movements in the short make for some very arresting yet beautiful images. The puppetry is a rather obvious metaphor but as this otherworldly creation gradually regained control the film moved beyond the archetypal women as victim narrative. Puppetmaster alongside the much more overt Catcallers, a modernist Cat People, felt the most rooted in a world post the #MeToo movement, with the horror being based on women regaining strength and standing up against their oppressors. Hair Wolf, the highlight of the selection, also included an examination of contemporary racial issues. Highly stylised, the short felt like a glossy B-movie with its neon colour palette and incredible hairstyles. Set in a black hair salon the filmmaker uses traditional zombie tropes to showcase the horrors of the fetishisation of black beauty – white people mindlessly roaming the streets, taking selfies and demanding ‘braids’ instead of ‘brains.’ The infection begins to take hold of the hairdressers as well with them becoming dissatisfied with their blackness, ending with a brilliant back and forth celebration of black beauty. Hair Wolf was a sharp satire that felt the most engaging for the audience, making them laugh yet squirm with familiarity – it firmly belongs to the new wave of films exploring black paranoid horror. 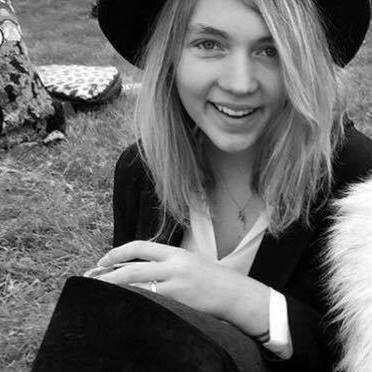 In a recent interview The Final Girls co-director Anna Bogutskaya said that “We Are The Weirdos is at the core of what we want The Final Girls to be about: a platform which can nurture, champion and spotlight female talent at the centre of the horror genre.” After viewing it was clear that The Final Girls were successful in highlighting the cultural need for female horror and the multitude of talent woman who are already making it and should have the platform to create more. Could we get a DVD copy to Jason Blum asap?